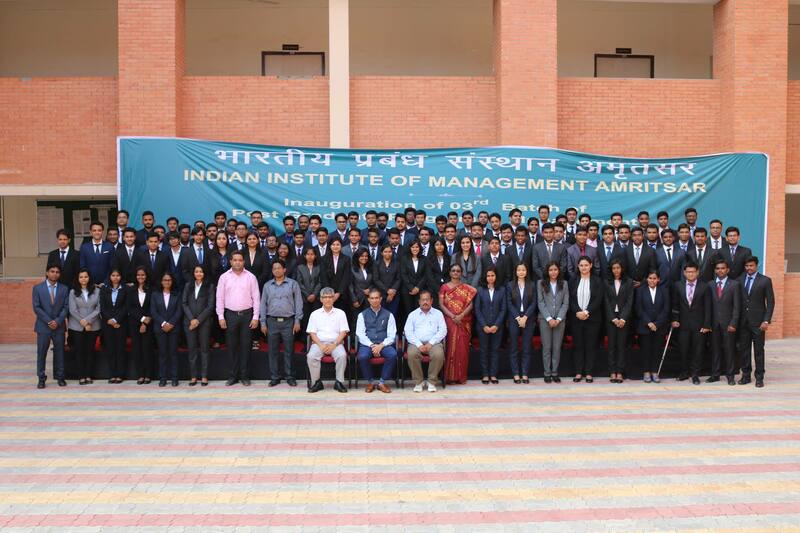 On 8th November 2016, Indian Institute of Management Amritsar hosted an interactive session with Mr. SUDHIR GERA, DIRECTOR OPERATIONS, KIRLOSKAR GREEN. The session took off with Mr. Gera highlighting the importance of selling, be it in management or in real life. He further explained that selling is more about conviction and communication than just strategic planning. “Everybody is important in his own domain”, he said as he asked the students to know and believe in their own value. He then took to simpler concepts of marketing, sales, competition and processes, in order to emphasize that knowing the operating processes thoroughly is essential for the survival of an organization. The focus of the session was then shifted towards mapping of a process, how even the naïve day to day tasks require great detail when they are to be mapped as a process. Mr. Gera went on to quote numerous examples of our day to day interactions with industry and the immense amount of details hidden beneath it in the form of processes. Moreover, he explained how with the help of parameters of quality, speed and value these processes can be improved. To add to the interaction, Mr. Gera dived deep into the concept of LEAN Management, which focused on accelerating velocity, reducing cost and wastage in a system. In the end, the guest gave the students a taste of real life muddle by the means of simulation and aptly concluded the session by iterating that, “A misaligned team will always miss the goals”.